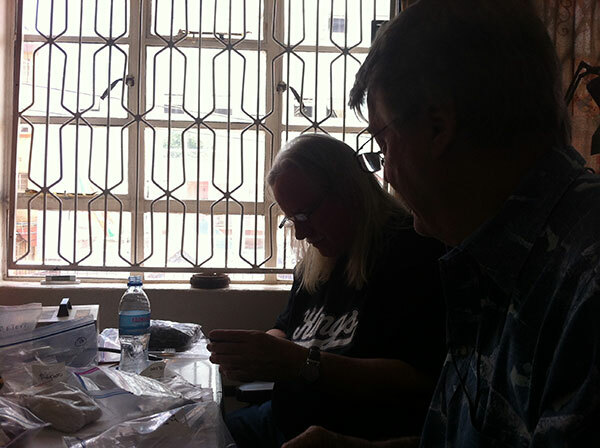 Pala’s Will Larson reports on the inaugural Arusha International Gem, Jewelry and Minerals Fair, which was held April 26–29, 2012. For more background on the show, see our April 2012 newsletter story. This, my first trip to Africa, took me to Tanzania, a beautiful country that is filled with unusual trees and landscapes to my foreign eyes. We left on a Monday night; the flight is terribly long from California but we finally arrived late at night on Wednesday, April 25. It just so happened that Doug Hucker, CEO of AGTA, dealer Evan Caplan, and other of our colleagues were on the same flight. Upon our arrival, Abe Suleman (Tuckman Mines and Minerals), mine owner Money Ayusuf, and a very large bus greeted us as we walked out of the airport. I had no idea what Africa would feel like. I had of course seen it in movies and on the Discovery Channel, but I was still very excited to see it all with my own eyes. Arusha is the largest city next to Mt. Kilimanjaro in Tanzania. 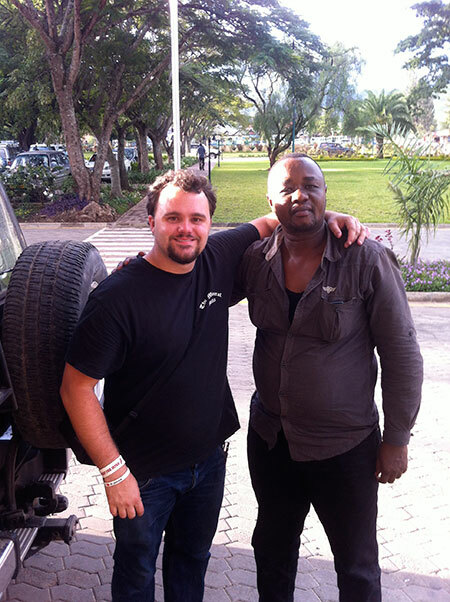 Our hotel was located just outside of downtown Arusha and was also the location of the show. In moments we were off in the bus to the Mount Meru Hotel. I couldn’t wait to shower and fill my stomach with grub and then, sleep. 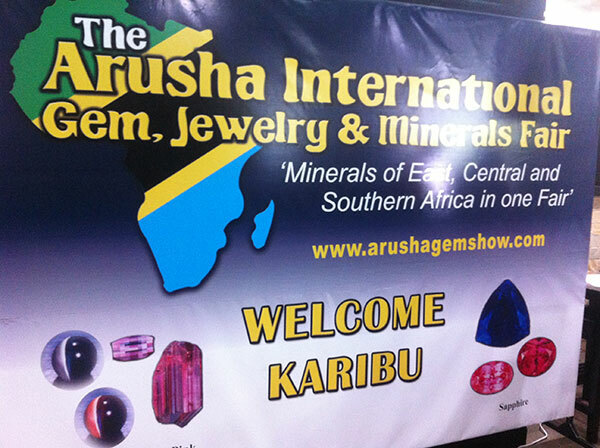 The Arusha International Gem, Jewelry and Minerals Fair (AIGJMF) was scheduled to begin at 10 a.m. on April 26th. 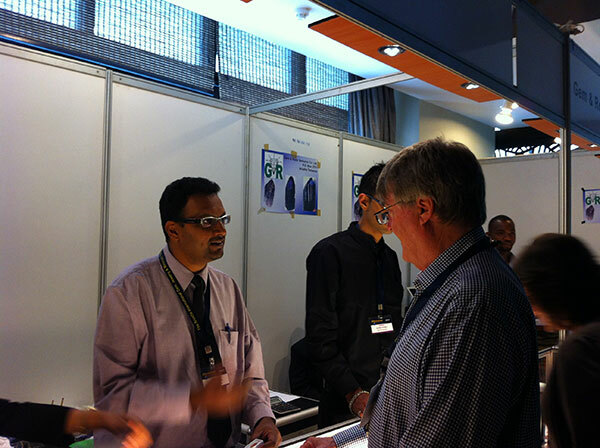 This being its first year, the show had a few slight hiccups but finally opened after lunch and the show went smoothly. Many of the dealers, from not just Arusha but all over Tanzania, were represented at the show, but unfortunately the only foreign dealers we saw exhibiting were from the Congo. We hope that next year more countries will participate. The show exhibited around forty-some dealers and they all carried gemstones and rough from the local areas as well as nearby countries. 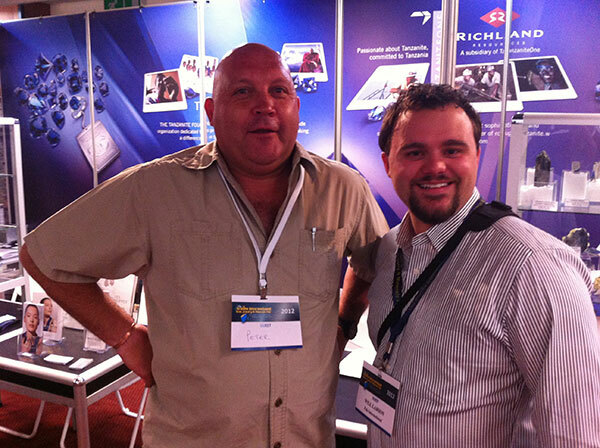 Of course, the most featured stone at the show was tanzanite, coming from only a few kilometers away from the venue. We were able to purchase a few things at the show: a fine 6-carat hot red-pink spinel from Mahenge, Tanzania, which we were very proud of. We were also able to find some very fine crystals of tanzanite and diopside, but it was scarce finding anything of quality at the right price. Many of the foreign buyers complained that it was slim pickings. 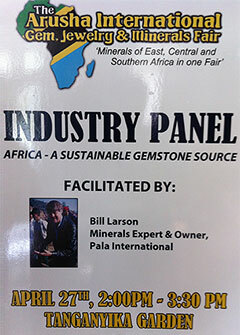 On April 27th my father, Bill Larson, was one of the keynote speakers and the industry panel facilitator. 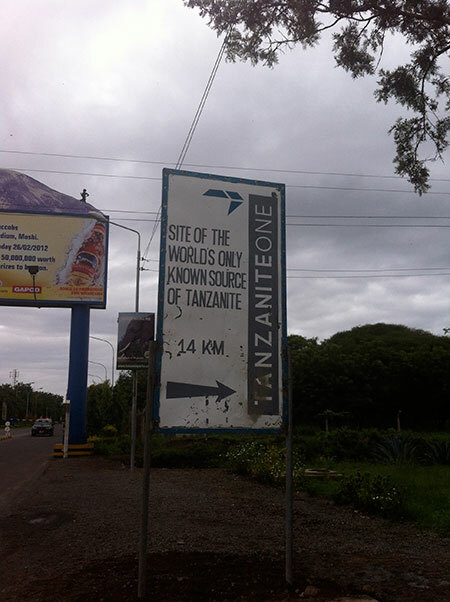 On the same day I was able to take a fantastic trip to the TanzaniteOne Mine, located in the Mererani area just outside of Arusha. My father had to bow out due to his duties as panel facilitator, but I was able to take video so he could see what the mine was all about. A few months from now I hope to have the video completely edited and ready for our fans to watch. 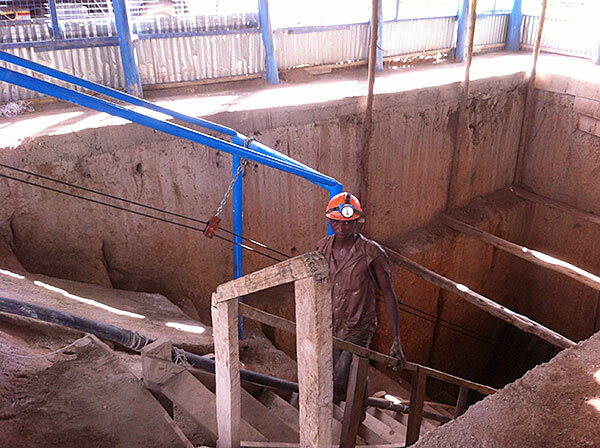 TanzaniteOne’s main shaft is located in “Block C” and goes down about 750 meters. We dropped most of the way in a little mine cart like we were in a Donkey Kong video game! 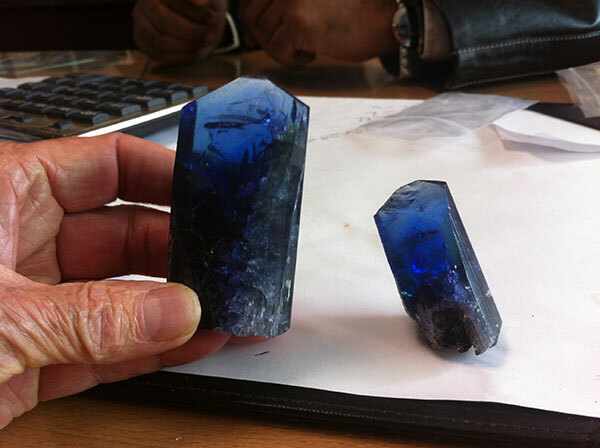 It was fascinating to see all the work that has been done to find the beautiful tanzanite material that, after my trip, I’ve certainly come to love even more. 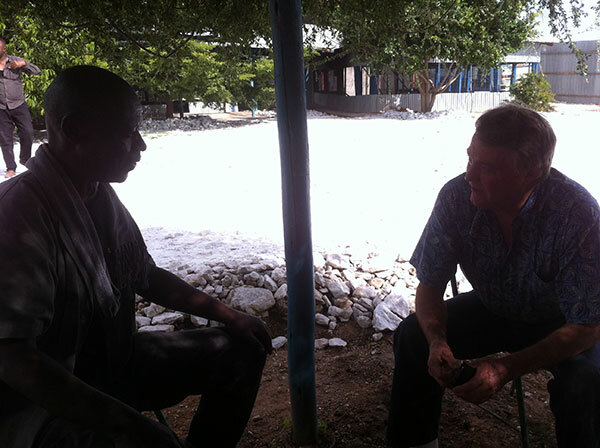 The operation at TanzaniteOne is one of the largest mining operations I’ve ever seen—certainly for colored gemstones. After a long day, the tour group was able to make it back in time for Bill’s keynote talk on “the Importance of Africa gemstones.” He spoke to a full house of perhaps 200-plus people including many prominent ICA members who were enthusiastic regarding his beautifully illustrated PowerPoint talk. Block D has some pretty deep mines, it turns out, and it was a fascinating trip! 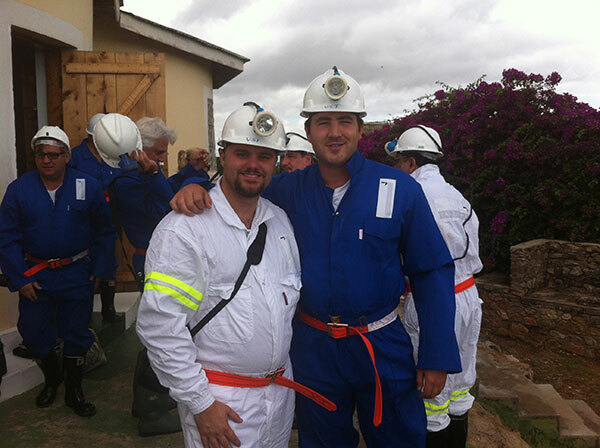 I was really excited to get down into the mines and see how they were operating. 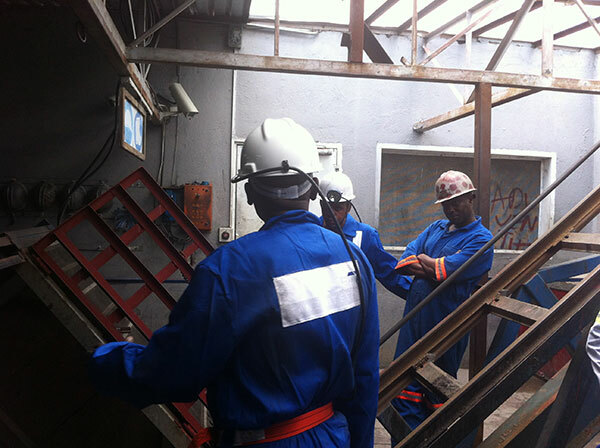 The first mine we visited was our tour guide Money Ayusuf’s own mine, which is down about 325 meters. But with the steep ladders and no real way to see anything in his mineshaft I didn’t venture more than a few meters in. 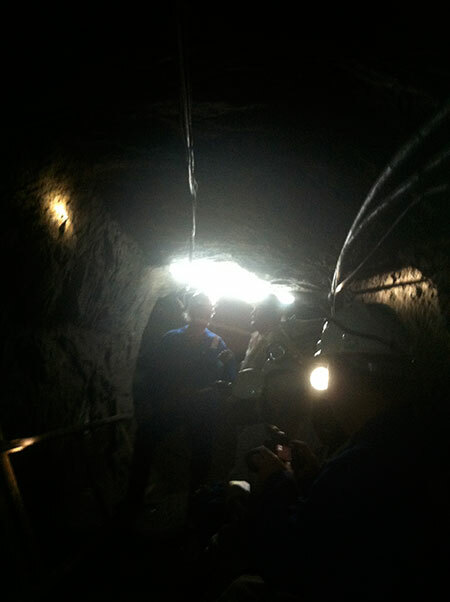 The next mine we went to was Rahim’s, and this one we were able to go down. I was only able to go down about 50 meters in but it was already blazing hot, and there was 750 more meters to go before I hit the bottom. Climbing it all by ladder certainly seemed like a huge task I’d need to train for prior to my next trip! At the 50 meter level was the first rift, and here we could clearly see the tanzanite-associated minerals, which were dolomite and calcite seams, where the tanzanite forms. After enjoying our day at the mine we headed home. It really was a fun trip!